Emma concludes with the wedding of upper-class William and former maid Emma, and in many ways it captures all of the essential ingredients of a wedding. In other words, it feels true to the nuptial experience, at least as I know it. 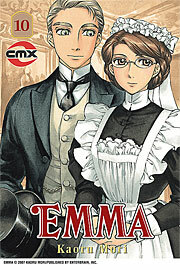 More importantly, it feels true to the kind of wedding Emma and William would have. Because while it is a happy ending, Mori is not so blinded by romanticism that she portrays it as an unblemished happy ending. William’s sister barely manages civility to Emma. William’s brother bluntly states that he’s only at the wedding out of family obligation. 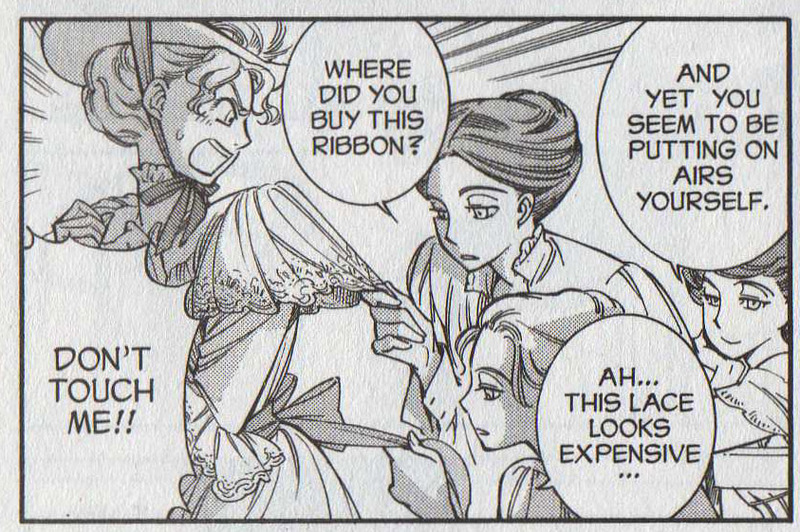 I can’t even quite bring myself to mention what William’s father does, and it doesn’t escape Emma’s notice. But, then, very little about her new, privileged world does. Of course, it’s not a new world for Emma. Her place in it has just changed, and would that she could adapt to the new point of view without difficulty. 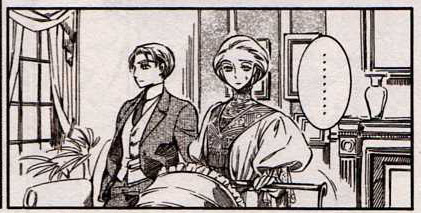 But her nature doesn’t allow her to slip comfortably into the posture of an aristocrat. She seems at times petrified of the prospect of navigating the social world of William’s family, and nobody is callous enough to suggest that love will see them through. (You only have to look at William’s mother, wounded by her own brushes with society, to know that it’s an unforgiving milieu.) The people with whom Emma was once most at ease are now in a class below her, though nothing about Emma has changed. She still wants to be useful, to be busy, and these aren’t qualities that distinguish a woman of the upper classes. Of course, William and Emma do love each other, and it’s difficult to imagine their fate being similar to that of William’s parents. And prim, disapproving Queen Victoria is dead, and the world is changing bit by bit. 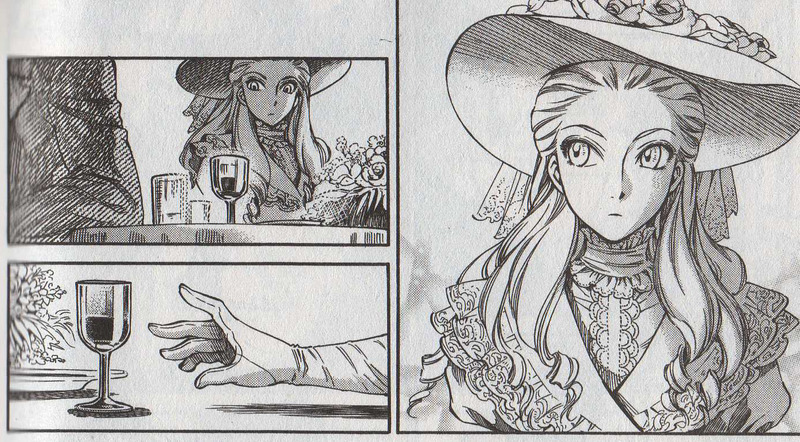 Maybe Mori is suggesting that the union of William and Emma is symbolic of that change. It’s maybe a little naïve, but it’s sweet, and when you consider the hard time she’s given her protagonists, a little sweetness isn’t a bad thing. And overall, it’s the bittersweet quality that elevates Emma. The knowledge that the maid and the rich boy have traded one set of challenges for another helps readers savor their milestone. Their future happiness may not be assured, but they’ve overcome all obstacles so far. They also seem aware of the obstacles ahead, Emma maybe more than William, and perhaps that awareness will protect what happiness they can afford in a disapproving world. This entry was posted on Thursday, March 11th, 2010 at 9:42 am and is filed under CMX, Manga Moveable Feast. You can follow any responses to this entry through the RSS 2.0 feed. Both comments and pings are currently closed. Oh what a lovely essay about a marvelous final volume. I couldn’t agree more — unchecked happiness doesn’t really exist in life and the sweetness of William and Emma wouldn’t really be sweet without all those *everyday* little obstacles they face as a married couple. I also can’t see them ending up like William’s parents, if only for the fact Emma is much, much tougher than William’s mother. And in his own way, William is working his way out of a certain mold of the English gentlemen that his father has spent decades trying to secure (and succeeded in securing –to a degree — in spite of his “unconventional” wife). I know it’s totally cliche of me, but I would love to see a “ten years later” look at Emma and William and their circle. Hey, if Richard Linklater can do it with “Before Sunrise” / “Before Sunset,” I can’t see why we shouldn’t get Mori to do it with Emma! Great review. Emma is my all-time favorite. The degree to which she and William will acheive happiness is very high and I know that wonderful, albeit tough times are in store for them. 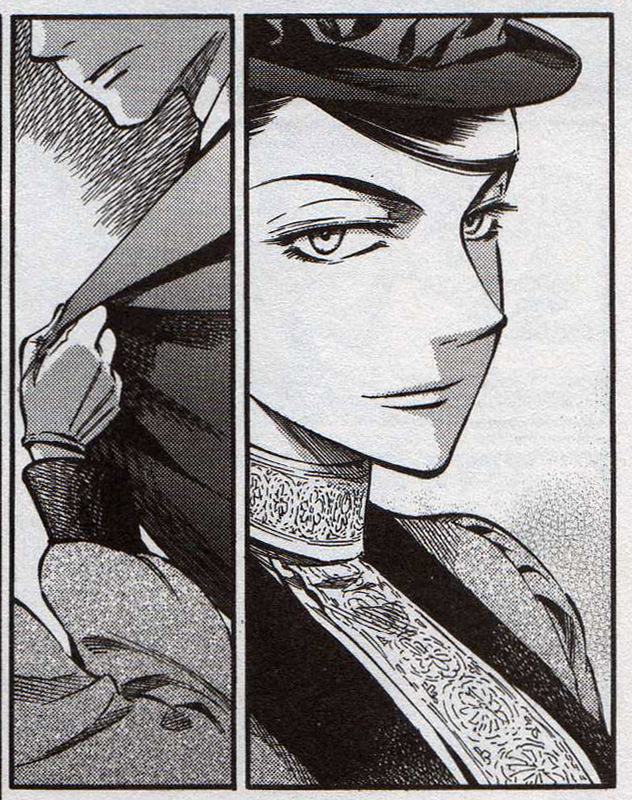 Emma may have been predisposed to having a tougher character than William’s mom, due to the hardship she experience in her life, but Aurelia was certainly not a weak character. How strong would you define her as being? She’s one of my favorites. Plus it was wonderful to see her marriage relighting at the end. Thank you again for the great piece! I think William’s mother is fascinating, and I think withdrawing from society did display a certain kind of strength, or at least the kind of self-awareness that allowed her to survive. And I think Emma was key to her returning to her family, partly because of the example that Emma set and partly because she wanted to help Emma. That’s another relationship I’d love to see evolve further, both for its own sake and in the context of other family members who might resent their bond. Wow. What an incredible ending–touching on all the realistic challenges that face Emma and William, yet they seemed poised and ready to put their relationship first, no matter what social pressures they’ll inevitably face. It occurred to me as I read your review that Emma is an incredibly realistic Cinderella story. There are no “happily ever afters” in life, only challenges and hardship. It takes determination and hard work to keep any relationship happy, and no mangaka expresses that quite as well as Mori does in Emma.